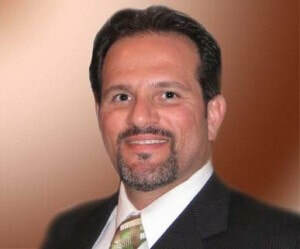 Ramtin K. Nassiri, D.D.S., M.S.D. Dr. Nassiri’s interest in pediatric dentistry and orthodontics is deeply rooted in his commitment to improve people’s lives. He has over a decade of experience in children’s dental care and has successfully treated over 3,000 children under general anesthesia. He has also provided orthodontic treatment to more than a thousand adults and children. Dr. Nassiri completed his undergraduate studies at the University of California, Berkeley, and double majored in Mechanical Engineering and Material Science. He then worked as a refinery engineer for Chevron in Point Richmond. He changed careers because of his interest in patient care. He wanted a professional career that would allow him to serve his community. He pursued his dental training at the prestigious University of California, San Francisco, where he graduated with honors, ranking in the top tier of his class. He received numerous awards and scholarships. After graduation from dental school, Dr. Nassiri provided dental care for children and young adults with disabilities at La Clinica de La Raza, Salida Surgery Center and Pediatric Dental Initiative. He also served as a clinical instructor at the UCSF School of Dentistry. He has extensive experience treating both adults and children. He has also been involved in several research projects and given numerous lectures in Biomaterials. Dr. Nassiri attended the highly regarded orthodontic program at the University of the Pacific, in San Francisco, where he earned his Certificate of Specialty in Orthodontics and a Master of Science in Dentistry. He passed the written orthodontic board examination, achieving the highest score among his co-residents, and is currently board eligible. Dr. Nassiri believes that creating healthy, beautiful smiles involves a multidisciplinary approach. He evaluates the whole face as well as the airway, skeletal, periodontal and dental conditions when choosing the most suitable treatment options for his patients. His approach to orthodontics involves non-extraction treatment whenever possible as well occasional extraction and surgical treatment to achieve beautifully balanced faces, full smiles and healthy bites. Dr. Nassiri is a “hands-on” clinician who gives personal attention to every patient at each visit. Dr. Nassiri has been happily married since 1996. He met his wife during their undergraduate studies at UC Berkeley. They have twin toddlers that they adore very much. They also have four little dogs and two cats! When not at work, Dr. Nassiri enjoys spending time with his family, exercising, playing music, and cooking.